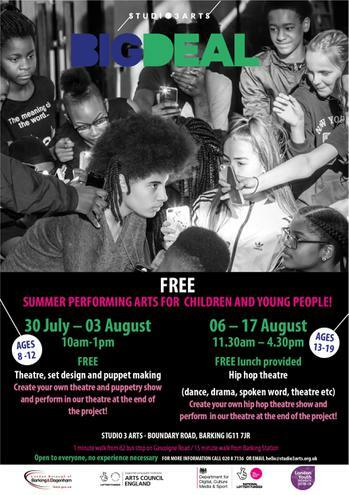 Studio3Arts are holding a FREE summer performing arts project for children and young people. July 30th - August 3rd, 10am - 1pm for children aged 8-12. August 6th - August 17th, 11.30am - 4.30pm for children and young people aged 13-19.